Red Hen Press, 9781597096843, 208pp. 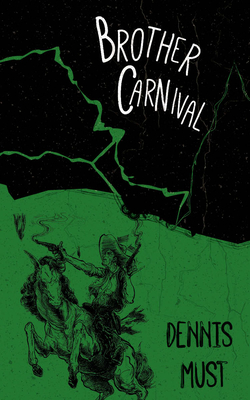 Ethan Mueller, the narrator of Brother Carnival, has suffered a crisis of faith and is on the brink of taking his own life when he is informed by his father that he has an estranged brother who is an author. Whereupon he is handed a collection of his sibling's stories and novel excerpts and urged to seek him out. "These stories are his effort to find you, Ethan. He's been where you are now. Seek him out but it won't be easy." In effect, "Christopher Daugherty's" writings function as the protagonist's brother in absentia, thus creating the "dialogue" and suspenseful interplay between them. By immersing himself in the pieces, Ethan Mueller's pursuit of his brother is a quest to discover himself.